Leicester City climbed to seventh in the Premier League and boosted its UEFA Europa League hopes with a deserved 4-1 triumph at already-relegated Huddersfield Town. Brendan Rodgers's men eased to a fourth consecutive victory and, with Wolverhampton Wanderers and Watford in FA Cup this weekend, moved into the top seven on goal difference — a placing that will be enough for European qualification if Manchester City wins the FA Cup. Goals from Youri Tielemans and Jamie Vardy had Leicester two goals up and seemingly cruising early in the second half, only for Aaron Mooy to swiftly halve the deficit from the penalty spot. But James Maddison curled in a delightful free-kick 11 minutes from time and then Vardy got his second from the spot as Huddersfield's misery goes on. Former Foxes man Ben Hamer blocked well from a close-range Maddison effort, but he was caught out by Tielemans's opener in the 24th minute, failing to react to a powerful 20-yard drive. Demarai Gray lashed over the top when he should have added a quick second, before the same man was denied by Hamer as Leicester continued to carve through the home back line. Huddersfield should have equalised moments after the restart as substitute Isaac Mbenza picked out Karlan Grant, whose tame finish allowed Kasper Schmeichel to parry clear. Vardy exacted swift punishment as he met Gray's right-wing cross at the other end, but Huddersfield was soon back in the contest. Caglar Soyuncu slipped in the area and then lunged in on Grant, prompting referee David Coote to point to the spot, with Mooy sending Schmeichel the wrong way from 12 yards. Maddison shot narrowly wide as Leicester looked to restore their two-goal cushion, but it was his wonderful free-kick which made the game safe after an instinctive Schmeichel stop was required to keep Steve Mounie at bay. 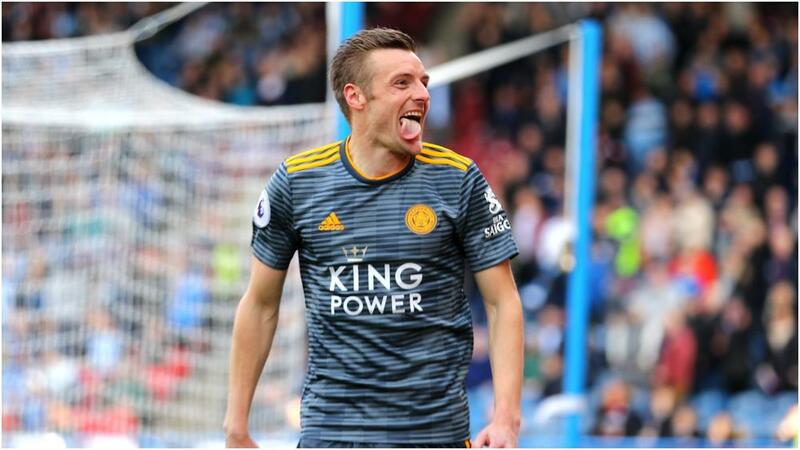 Terence Kongolo then tripped Vardy and the former England forward dispatched the penalty to surpass Leicester great Gary Lineker with 104 goals for the club.